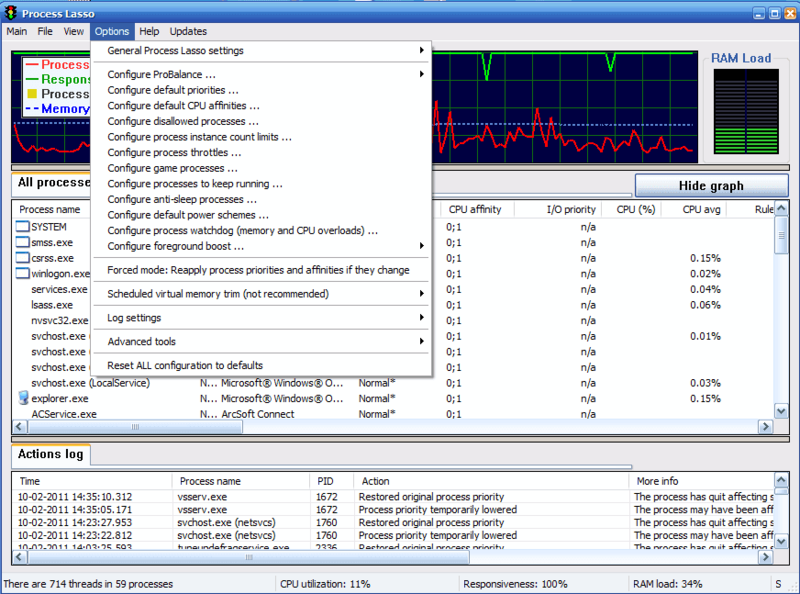 Process Lasso macht den PC schneller. Alle Prozesse die im Hintergrund laufen zeigt das Programm mit ausfuehrlichen Details an. Es verwaltet die Prioritaeten einzelner Prozesse die in Anwendung sind. Damit wird die Reaktionsfähigkeit von Windows spuerbar erhoeht. Process Lasso arbeitet Ressourcen schonend im Hintergrund. Bemerkenswert ist das Process Lasso auch die Ausfuehrung von bestimmten Programmen verhindern kann. Es kann auf vielfacher weise konfiguriert werden. 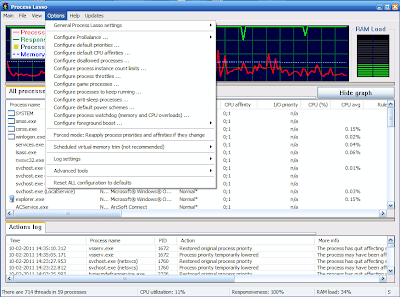 Process Lasso makes your PC faster. 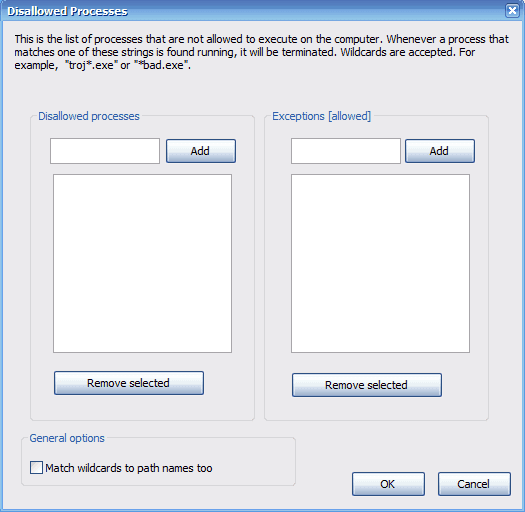 Process Lasso shows all processes running in the background with comprehensive details. It manages the priority of individual processes which are currently in use. Thus, the responsiveness of Windows is noticeably increased. Process Lasso is working in the background without using much resources for it self. 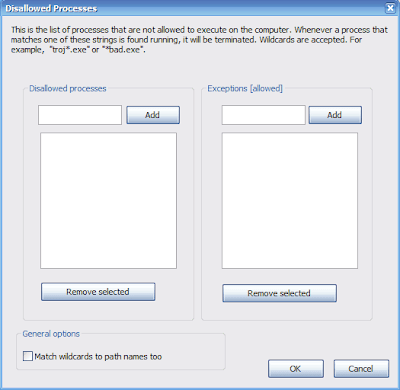 Of note is that Process Lasso also can prevent the execution of certain programs. It can be configured in many ways. Jeremy Collake from Bitsum Technologies give us 5 standard home licenses of Process Lasso for readers of our site LeecherMods.com. The licenses will have one year of free updates included. We give away for free these licenses if you follow Leechermods.com with FriendConnect and tell others about LeecherMods.com by tweeting or share on Facebook with your friends. Leave a comment and you can be one of 5 lucky winners. This GiveAway open 30 days, but can be extended depending on the response. Feel free to comment. Winners of this contest we will choose random. Please ensure in your Friend Connect Profile is the option to contact you enabled. We need your email address to forward it to Bitsum Technologies after that they will send you the license.